Bake for 15 to 20 minutes until soft and beginning to brown. 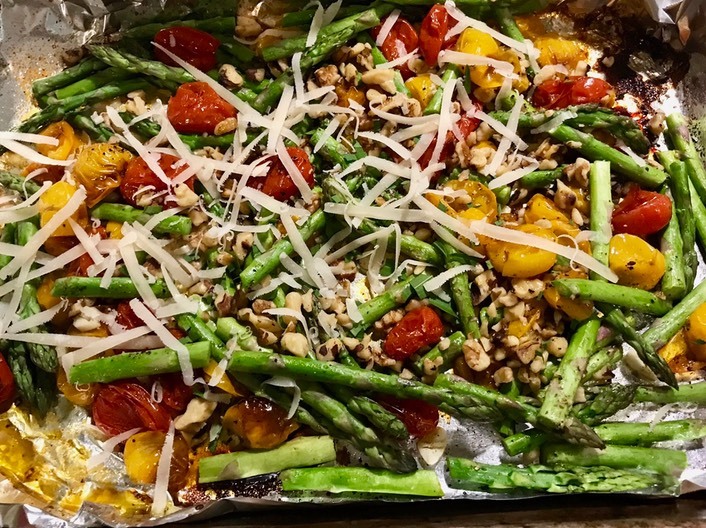 Add asparagus and garlic- toss with tomatoes and bake another 8 to 10 minutes, depending on size of asparagus. Add walnut pieces and bake another 2 minutes. Remove from oven and top with parmesan cheese and fresh herbs. Serve immediately or keep at room temperature until ready to serve.